At 8 a.m. on November 4th, 22 international students and 5 members of staff set out on a daytrip by chartered bus for Ojiya in Niigata Prefecture. 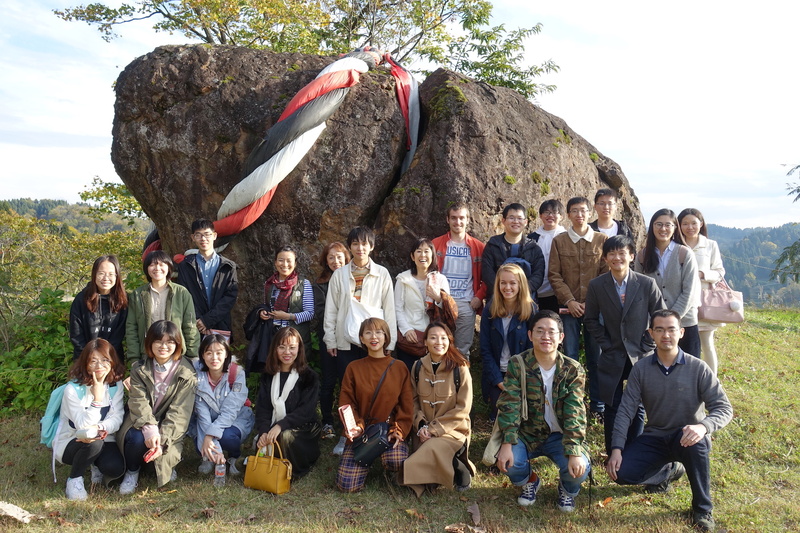 The object of the trip was to view the traditional “bullfighting” held in that city, which has been officially designated as one of the “Important Intangible Folk Cultural Properties of Japan.” Prior to the trip, the participants had attended a pre-seminar organized by Professor Yutaka Suga of the III, who is not only an expert on vernacular culture and folklore but also the owner of a fighting bull. 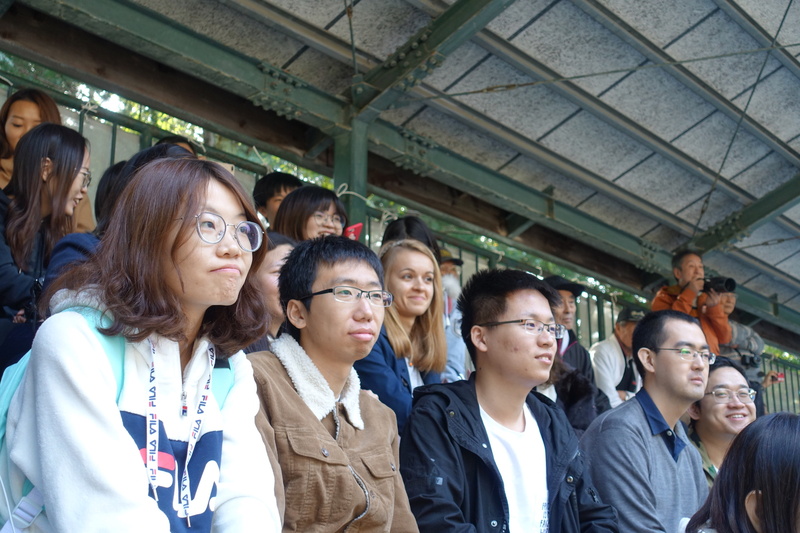 When they arrived, the stands at the bullfighting ring were already full of spectators. 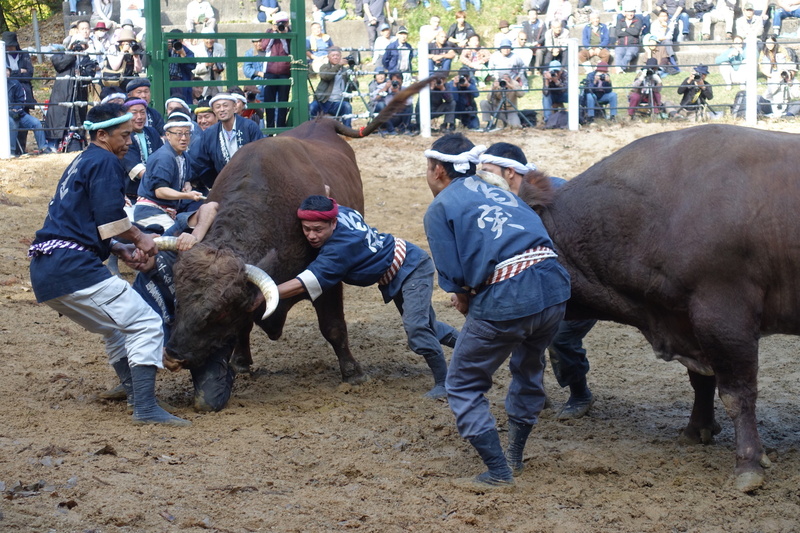 Prof. Suga took the trouble to come out and greet the tour party despite the bullfighting being already in progress. The explanations of the proceedings were easy to follow, and the power of the bulls, weighing as much as a ton, was truly impressive. 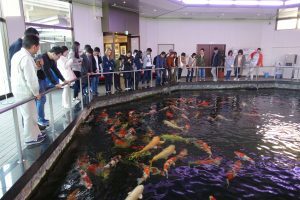 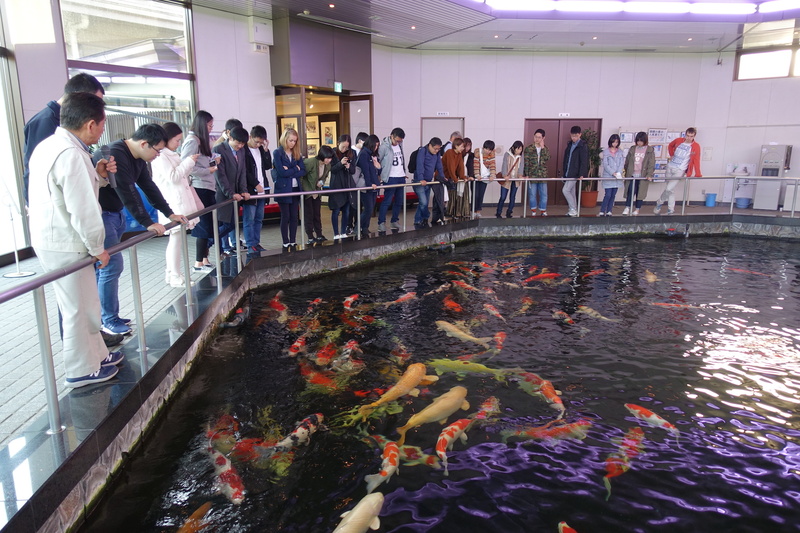 At the end of the trip, the participants visited a facility called “Nishikigoi no Sato,” which is dedicated to the colorful carp fish known as “Nishikigoi.” Besides looking at the fish, the visitors heard explanations from the staff, walked around the Japanese garden and bought souvenirs, before embarking on their return journey at 4 p.m. Here are a few comments about the trip obtained from a questionnaire conducted afterwards: “My understanding of Japanese culture deepened.” “While traveling on the bus, I had a good opportunity to have deep conversations with friends.” “Japanese bullfighting is not cruel, and the bulls are well cared for.” Daytrips like this provide an opportunity for students to take a break from their studies and form a deeper social network among themselves. 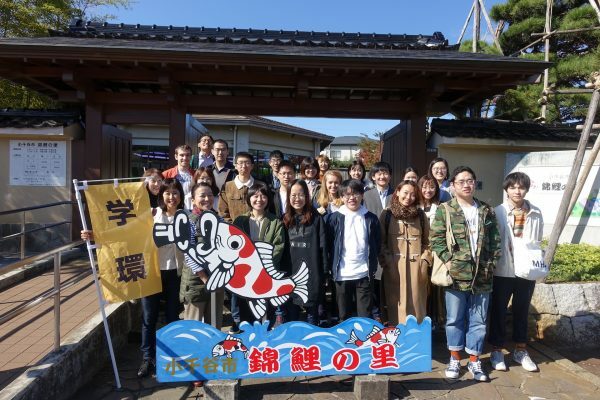 It was a fulfilling day leaving many cherished memories.